Meditation is a way to come home to yourself. A way of watching the mind. Noticing what happens, here and now. 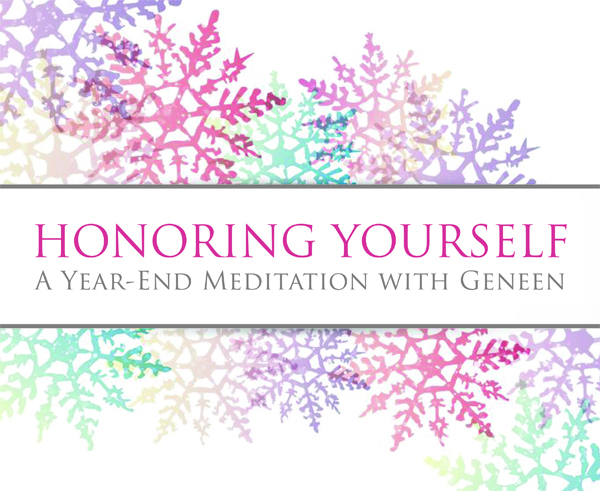 Join Geneen as she guides you to turn towards yourself and recognize the many ways that you have unfolded during the past year. By honoring the shifts made in the name of awareness, attention and love, you step into a world where you are fully and abundantly alive.